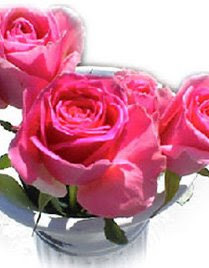 Home Uncategorized Send flowers to your valentine, early and often! Its that time of the year again. As a florist, I have always considered myself as well as the floral industry quite blessed to have our “OWN” holiday. For instance, the pet shop owners do not have the luxury of a holiday where men everywhere are in big trouble if they don’t come home with a puppy…. So order from your LOCAL florist. In YOUR town. Most of the commercials you see leave out the part about your beloved receiving a cardboard box, with a DIY arrangement….’cause nothing says “I love you” like a cardboard box. With flowers laid inside. That look nothing like the picture. Order local. Order early and often! And it doesn’t have to be red roses; florists are a creative lot, and there is a whole heck of a lot to choose from. Tulips! Lillies! Let your imagination run wild. Those that you are wild about will be glad you did.